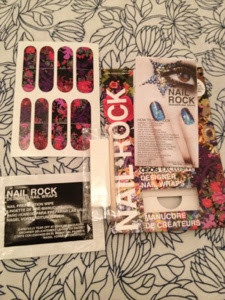 I love nail wraps. They can give you fantastically patterned nails with no need for any sort of nail art skills (a bonus for someone like me with no patience!). 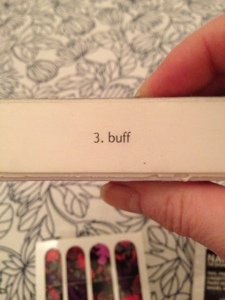 They can however, be a bit of a pain to apply, so I've developed a little tutorial on the best way I've found to apply nail wraps. 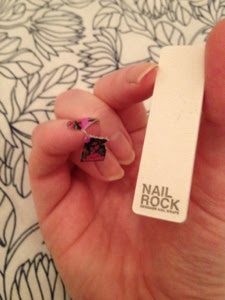 Prepare your nails for application by pushing back cuticles with the cuticle stick. 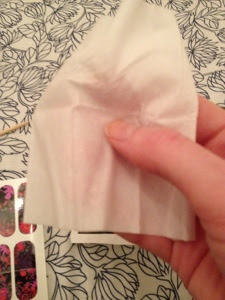 Wipe nails with acetone wipe/varnish remover to remove any oils/old polish. Buff the surface of your nails very gently to remove any shine that might be on there. Your nails are now ready to start applying the nail wraps. Decide on a nail to start with and select the wrap closest in size. 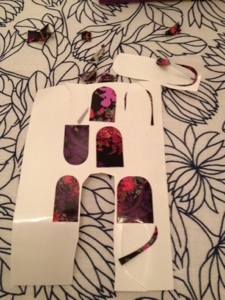 Trim nail wrap if necessary (whilst still stuck to backing paper). 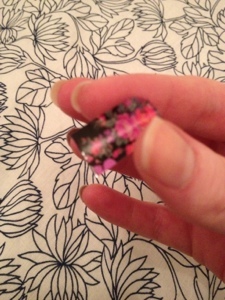 Peel off the nail wrap using the straight edge of the wrap. Avoid touching the wrap further down towards the curved part as much as possible to avoid losing any of the stickiness. 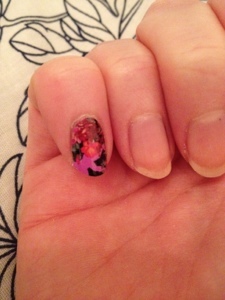 Very carefully position the curved part of the nail wrap at the base of your nail. 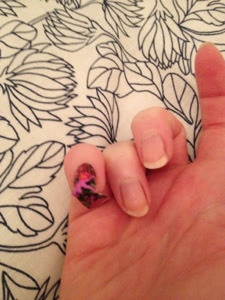 With firm pressure, push down the rest of the nail wrap bit by bit up the nail, until your whole nail is covered. If you see any bumps in the wrap (you'll normally get a few), you can remove these by pulling up the nail wrap very gently and re-stretching across your nail. At this point, the nail wrap will be longer than your nail under it. Once you're happy with the position of the wrap, push it underneath the end of your nail slightly to secure. Take your nail file, and in downward strokes, gently file off the excess that's overhanging your nail underneath. You should now have a finished nail! Repeat for the other 9 nails, trimming wraps to fit as necessary. You'll be left with a pile of little trimmings and also approximately 6 nails wraps from your kit (depending on wrap brand). Discard the trimmings and save your left over wraps for another day - I sometimes use one as a feature nail, or mix and match similar patterns from two left over packs. I find my nail wraps usually last between 2 and 4 days with no real signs of wear. It does vary a little depending on how well they were applied and also if you're doing anything strenuous with your hands, but that's a good estimation! To remove, I peel them off gently from left to right, and then add lots of hand and nail cream to help remove any last traces of the glue. I hope that this has helped. 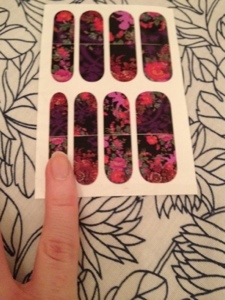 Some brands also require the use of heat in their nail wraps, so please do check your instructions first. This tutorial should work with Nail Rock wraps and certain other brands which don't require the use of heat in application. Great tutorial and you've chosen a beautiful pattern! they can definitely be tricky to apply - hope this helps! thank :) These are one of the few ones i've found that don't use heat. 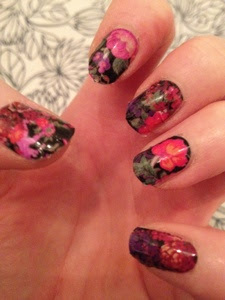 I love nail wraps but I wish they'd last longer!